In honor of Earth Day I wanted to share a recipe for something “earthy”. 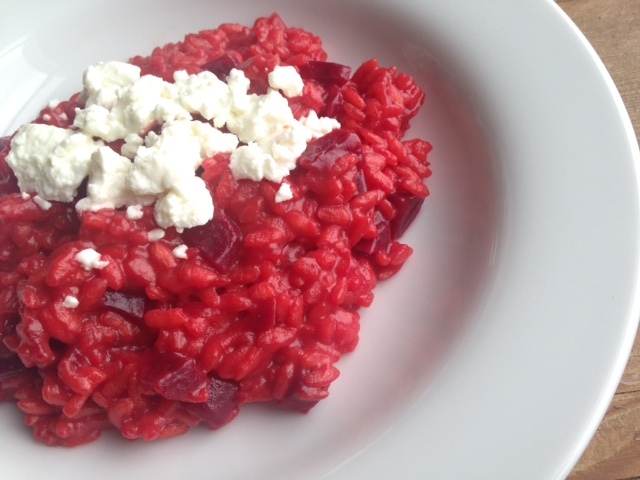 This beet risotto immediately came to mind. Like the tiny cook on Facebook!